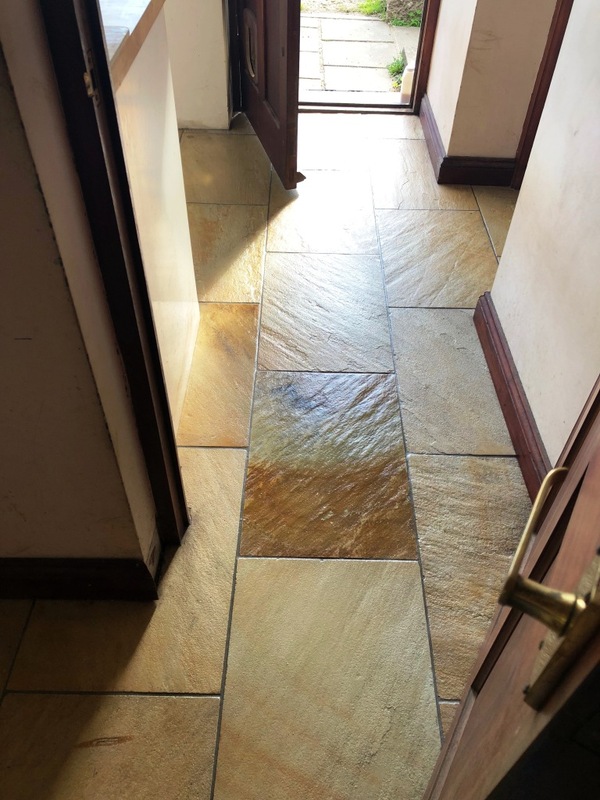 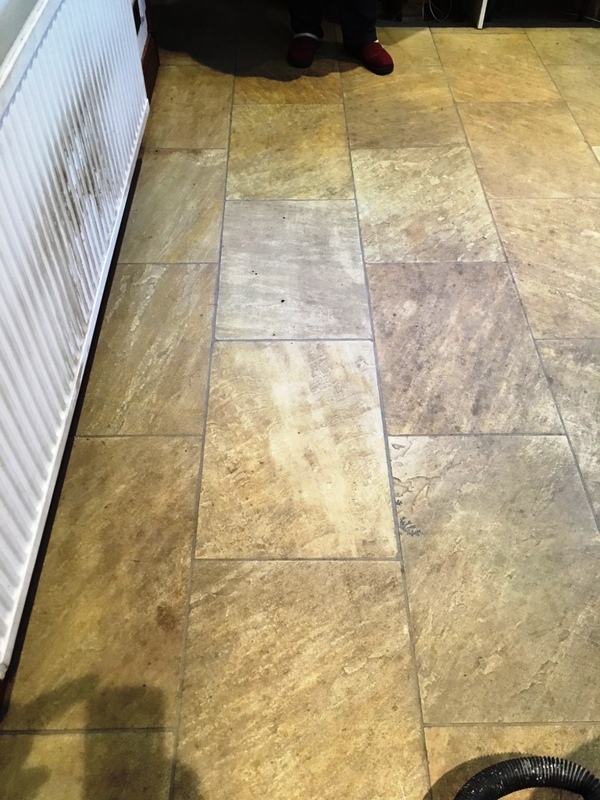 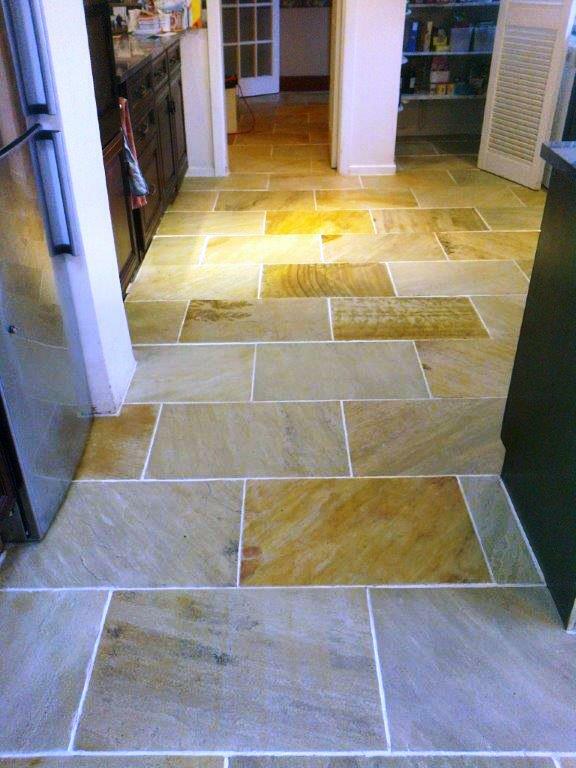 These beautiful Indian Sandstone tiles were installed on the ground floor of a house near Macclesfield and as you can see from the photographs had become heavily soiled which was masking the true natural colours in the stone resulting in a dark grey appearance. 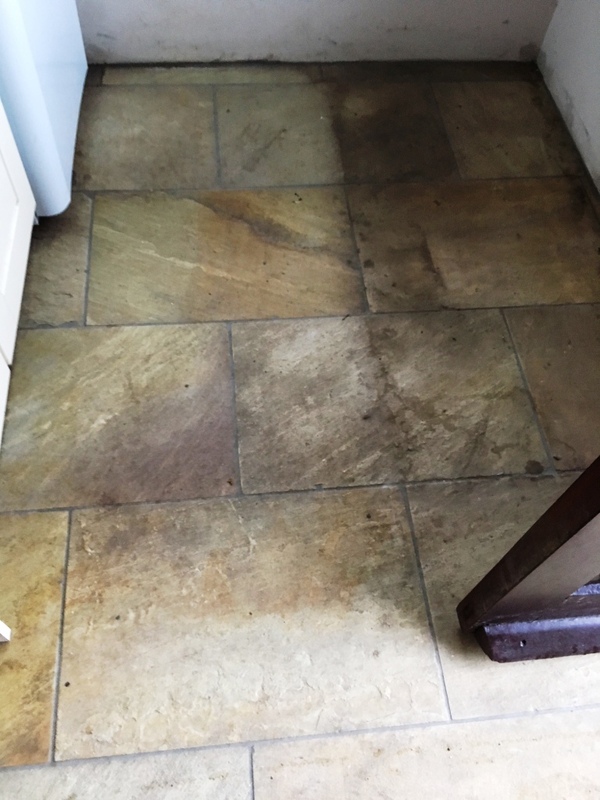 To get the tiles clean I let them soak in a strong dilution of Tile Doctor Pro-Clean for a while before working the cleaning agent in with a rotary machine fitted with a black scrubbing pad. 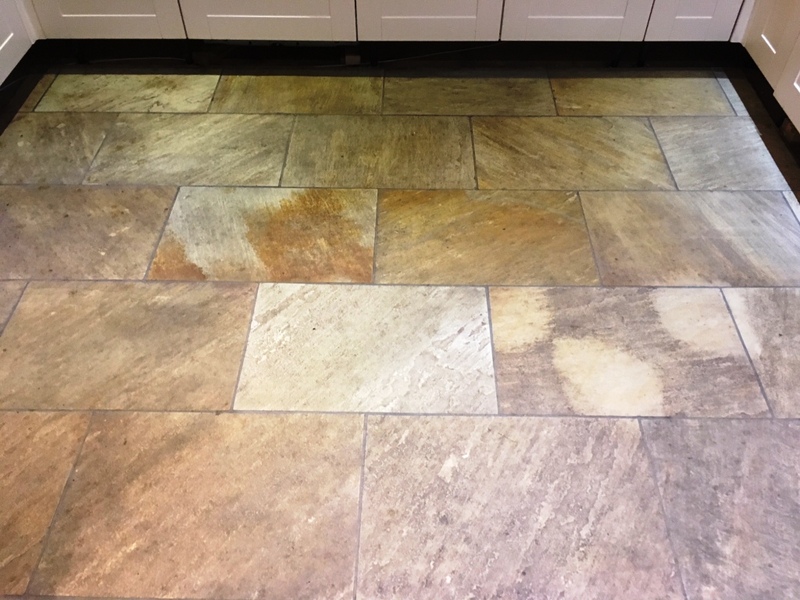 The Pro-Clean also acts as a stripper so this process will remove any remaining sealer on the surface of the tile as well as the dirt. 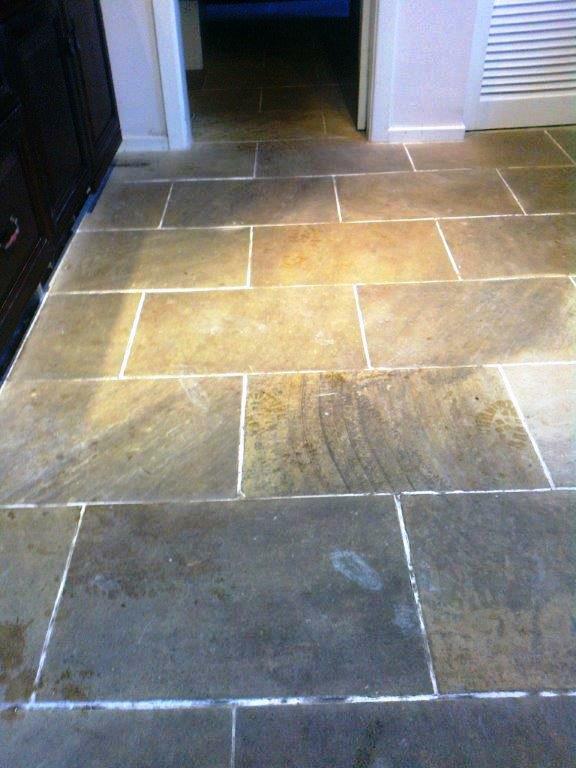 Additionally all the grout lines were scrubbed by hand using more Pro-Clean and stiff scrubbing brushes. 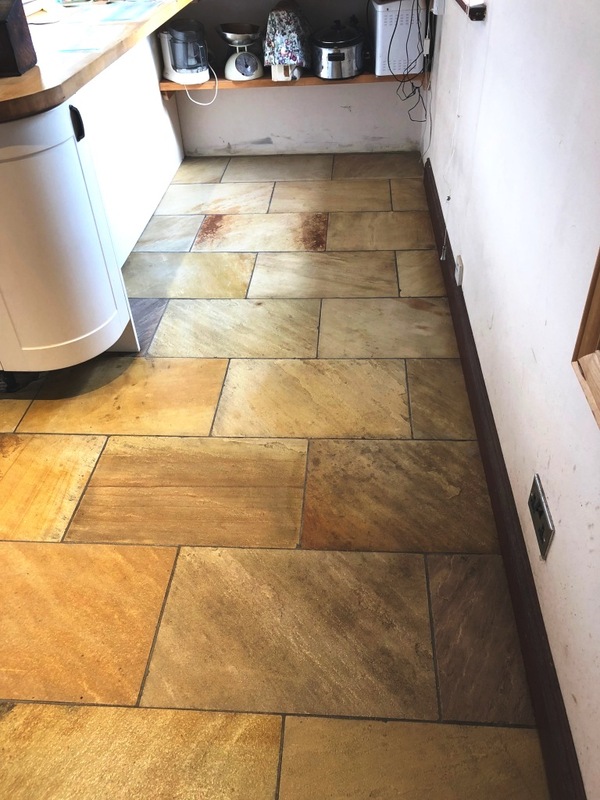 The remaining soiled solution was then removed from the floor using a wet vacuum and the tiles given a thorough rinse rinsed and left to dry completely with any stubborn marks re-treated using the same process. 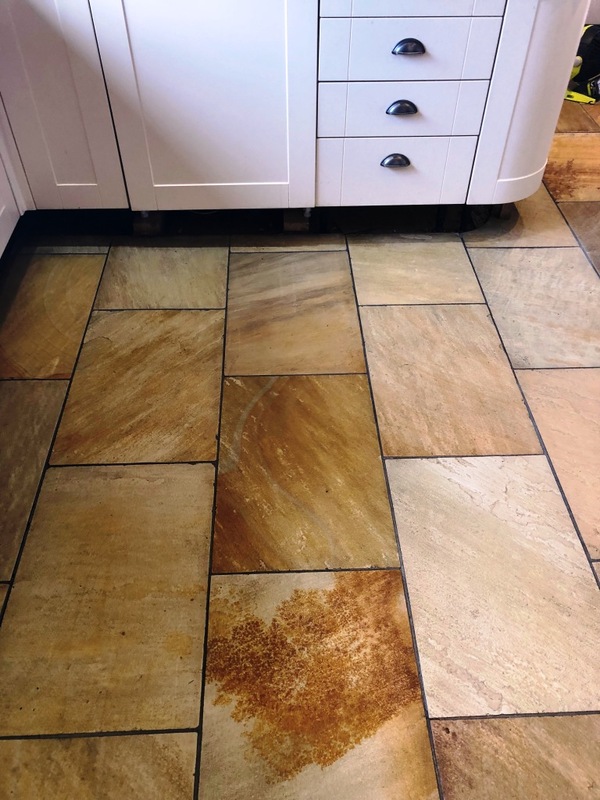 Once I was satisfied the floor was dry it was sealed using Tile Doctor Seal and Go which is a topical sealer that leaves an attractive low sheen finish and smooth surface, it’s also a water based sealer so there is no smell.